When buying a watch, there are many things to consider. Watchbands are available in a myriad of materials, including rubber, leather and stainless steel. Which watchbands are right for you, and which watch straps will perform under extreme conditions? We will answer those questions and look at the pros and cons of a variety of watch straps and watch accessories. Allow us to help you choose a watch that will be just right for your lifestyle. Metal watch accessories are very common and quite popular. Metal watchbands are also called watch bracelets. Most metal watchbands are made of stainless steel. Stainless steel is durable and also affordable. Some metal watch bracelets may be made of titanium, tungsten, gold or platinum. Titanium and tungsten are very strong, though titanium is much lighter in weight than tungsten. 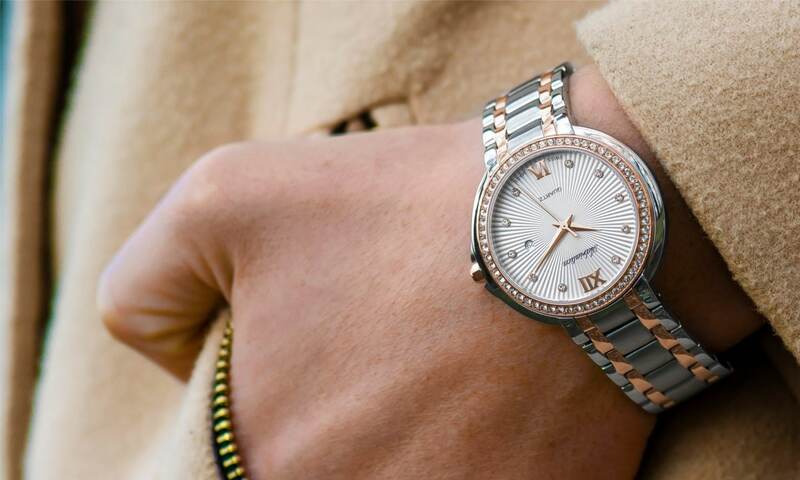 Gold and platinum are generally too expensive for watchbands, though luxury watches sometimes incorporate gold or platinum, and gold-plated watch straps are also available. Metal bands are durable and offer a sleek aesthetic. Some metal watchbands are heavy, so individuals who lead an active lifestyle may prefer rubber or leather watchbands. Rubber and plastic watch straps are also very common. Rubber watch bands may accompany a plastic or stainless steel watch case. Plastic and rubber watch bands are suitable for an active lifestyle because they are durable and lightweight. Rubber watch straps are also affordable, allowing you to collect watches in a variety of styles and hues. Rubber and plastic watchbands are commonly found on sport watches, fashion watches and children’s watches. Rubber straps can be worn while swimming, hiking and running without a second thought. Leather watchbands lend a nice vintage look to a luxury timepiece. Leather is available in many hues and textures, and a leather strap can easily be changed to completely update the watch. Leather is durable, but leather watchbands are not usually used on sport watches or waterproof timepieces because water can damage leather. The aesthetic and texture of leather is luxurious and difficult to duplicate, but with a bit of care, leather watchbands will last for decades.